If you asked me what my best trait as an author is, it's my buoyant overconfidence. If I want to do something, I do it. I don't ask permission. I don't stop to worry about worst case scenarios. I just do it. I keep moving forward no matter what gets thrown at me, because dang it, I can write and no one is going to tell me otherwise. Somewhat to my disadvantage, though, is that I am not a perfectionist. 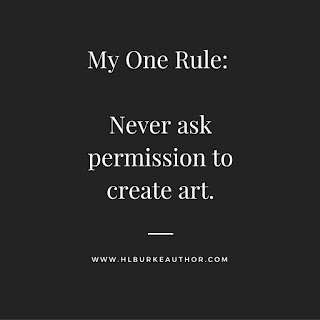 When I decided to take things seriously as an author, I had to learn to buckle down and produce a polished product, but it's honestly not in my nature to self-doubt my way through edits. 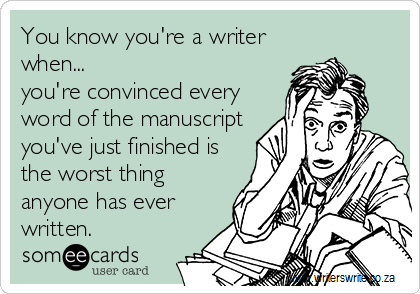 You know those author memes that talk about the frantic author convinced their stuff is the worst thing ever? Not me. Not me at all. I generally speaking love my writing. I'll read it for fun. I will openly chuckle at it when I feel I'm being clever. Yeah, I'm awful. The thing is I'm "self-aware" awful, so I do my best to get multiple opinions on my stories from people who have no vested interest in buttering me up before I move onto publishing. Recently, though, I realized something about some of my earlier works. But anyway, listening to the narrator files on book two made me think, "Dang, I'm a much better writer now than I was when I put these out." In two years, my prose has gotten more vibrant. There were a few places where I wanted to pause the narration and just go, "Yeah, I would say that a little differently now ... I'd probably delete that adverb ... I maybe should've found a more original expression for that ..."
But do I want to give back the money I have made so far on the series, take them off the market so they stop continuing to make money, do I regret publishing them? Not only do those books bring in constant profit for me, they've helped me create a fan base, and I still get readers whose first introduction to me as a writer is that cheesy (but apparently enjoyable) dragon romance series ... I'm even investing in new covers for them this year to help push them even further. You can always get better. But someday you need to just take a chance or no one will EVER read your stories. And yeah, I'm glad I kept working and got better rather than just stop after the cheesy dragon books. If I'd just put out another cheesy fantasy romance, I might've kept a few fans who just want that ... but I don't think I'd be able to expand to reach a larger audience. I don't think I'd be able to be as profitable as I am now. So each book I get a little better. 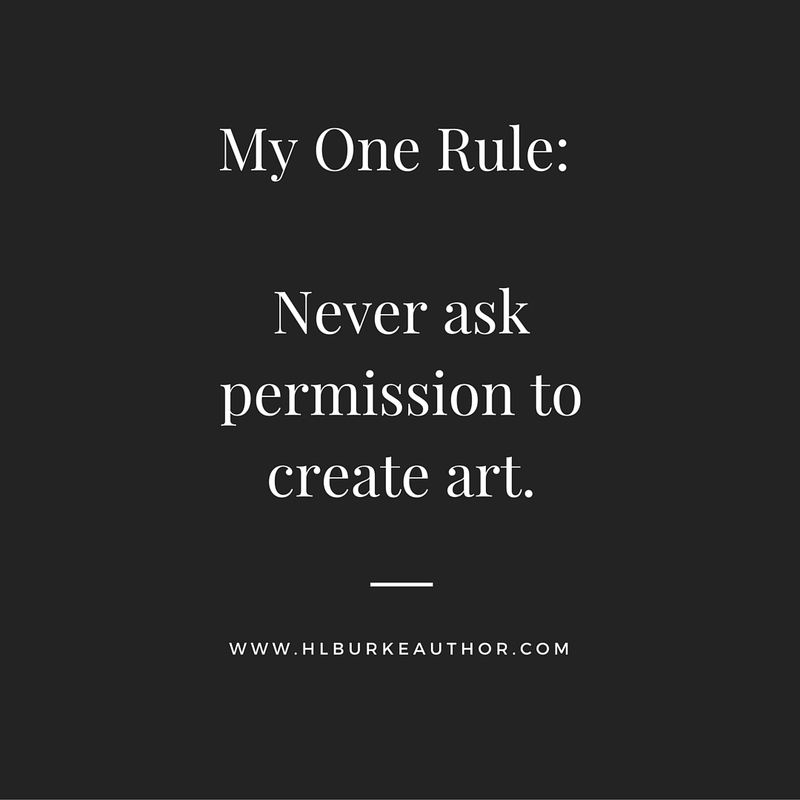 So yeah, you can polish forever, but eventually you just have to take a stab at it, whether that means in submitting to an agent or publisher or taking the self-publishing leap. I love that you are that confident in your stories, and I think that because you are aware it allows you to create a strong story without being crushed under the weight of self-doubt. It's a good trait to have. Also, having seen your stories and comments, I can confirm you aren't delusional, which would be problematic, lol. Keep up the great work. Your confidence and stories are beautiful things. I think a lot of perfectionists produce high quality, but it seems they often need someone in their life who will tell them to stop perfecting and just consider it done. Fighting perfectionism has gotten easier the longer I write. What I find the most amusing is that some of the earliest stuff I wrote (after high school), I thought it was great. When I read it now, I realize it was shallow and immature. I'm glad those things were never published. I think I'm a realist. My biggest issue with my stories is that I don't want to talk down to the readers, so sometimes there's a mental or emotional leap that the reader doesn't make because they don't have all the knowledge I do. Does that make sense? That's why I want other to read my story before it goes to a publisher. But I agree that perfectionism is death to an artist. And...for some reason I don't see myself as an artist. Words are too concrete for something as abstract as art, aren't they? I do the same thing with my older stuff ... though I recycle ideas/themes/even characters from it from time to time.